It is easy to focus on all of the fallout that follows a prison term. I know I did. In time, however, I found some benefits to being in prison. If you have interest in learning about some of these benefits simply click the link below. I recognize these 10 principles will not apply to everyone. It should, however, provide a basis from where to start. Life in federal prison does not have to be a waste. Of course, no one really wants to be there. But if we have to go, we might as well make good use of our time. A proactive routine will help ensure your days go smoothly. Moreover, it will help you get off to a wonderful start on federal probation. For those defendants pursuing the Residential Drug Abuse Program you are in for a treat. Most of my clients who pursue RDAP have found huge value in the program. You simply need to be open to change. 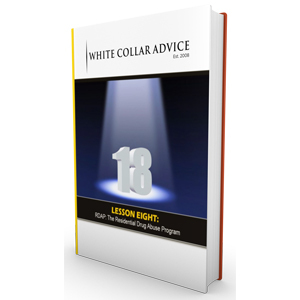 I am in the process of filming nearly 20 videos in my new White Collar 101 series. 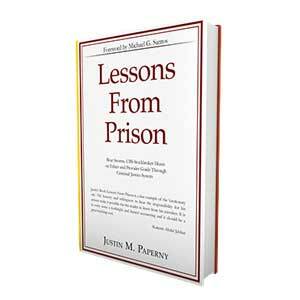 I will cover myriad subjects like life in prison, medical care in prison, life in the halfway house and more. If you have questions please feel free to text or call 818-424-2220.